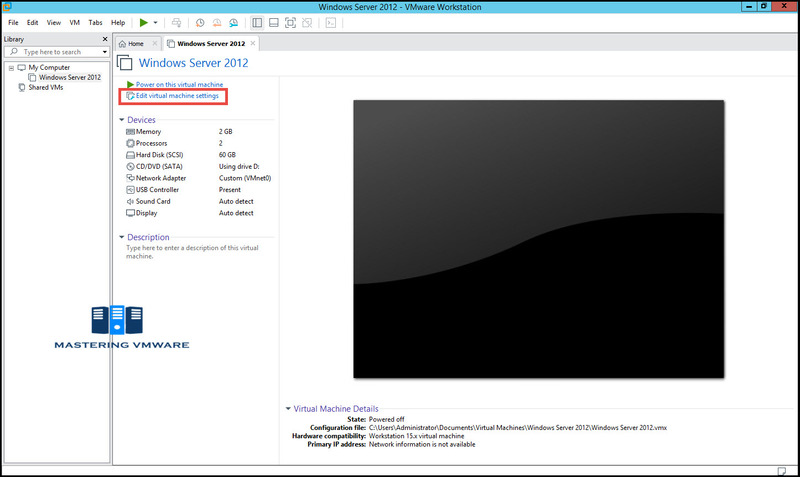 VMware workstation allows you to create virtual machines on top of your physical machine. When you create virtual machine you install guest OS in the virtual machine. 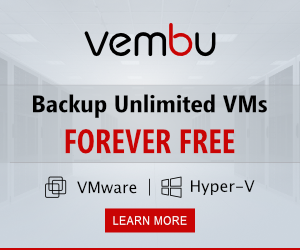 Once when you create VM you provide HDD for the virtual machine for storing the data of guest operating system. 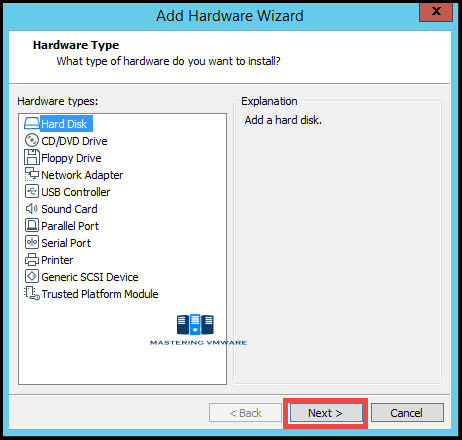 You can add additional HDD in the virtual machine as well using just simple wizard. 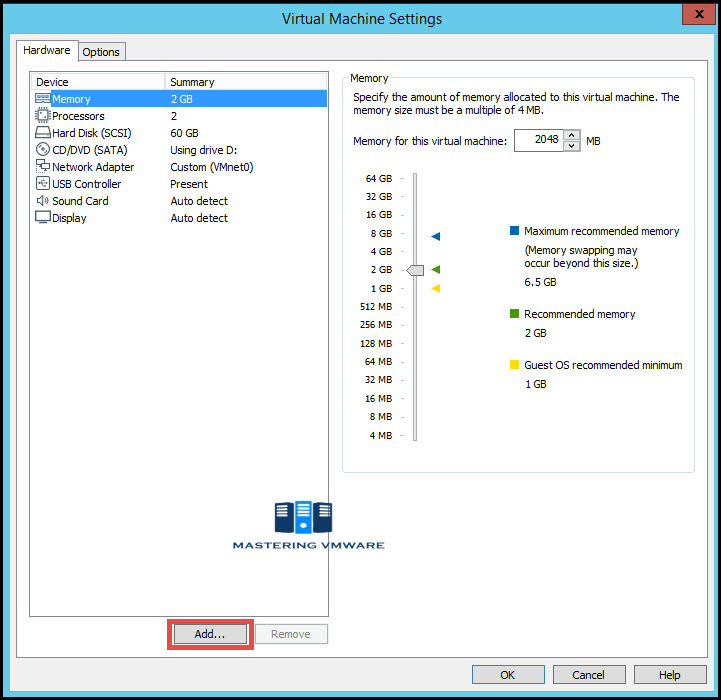 By Adding additional HDD to the VM you can provide more storage for your virtual machine. 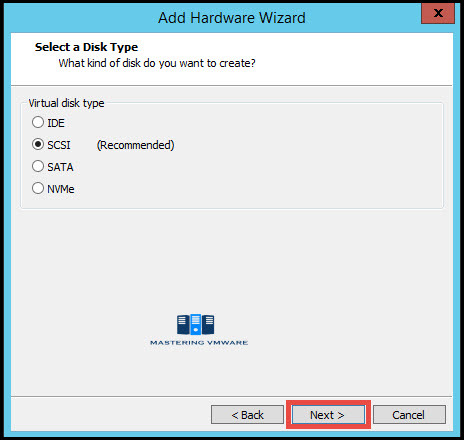 In this post we will see on How you can easily add additional HDD to the virtual machine step by step. 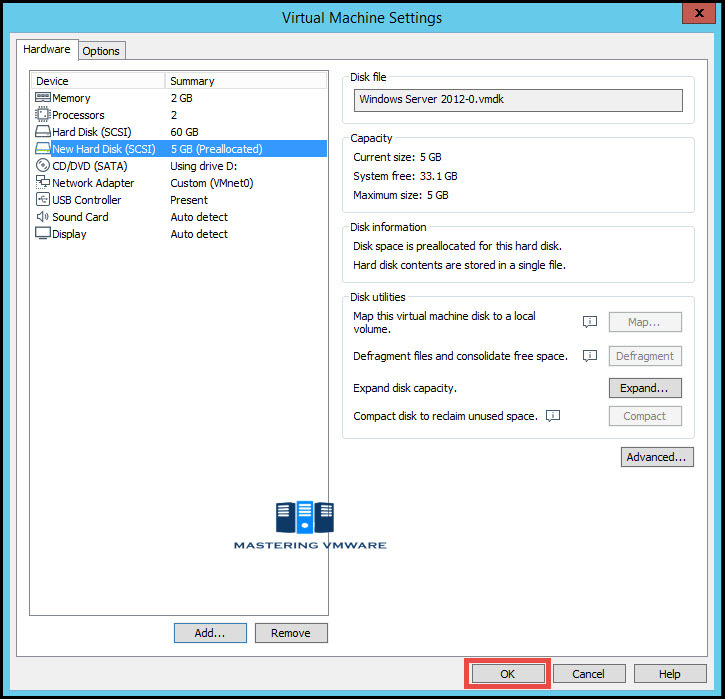 Select the VM on which you want to add additional disk. You will see Virtual Machine devices here which are connected to the VM. For adding new Hard Disk click on Add button below. Add Hardware Wizard will open here. Select “Hard Disk” and click Next. Specify the Virtual Disk Type you want to use. If you are not sure then go with the Recommended option. 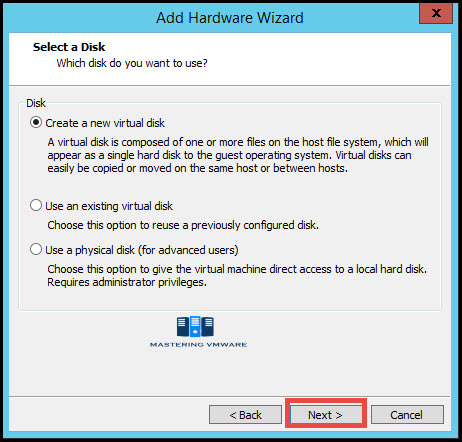 Choose the Disk options whether you want to create a new virtual disk or use an existing virtual disk. Select “Create a new virtual disk”. 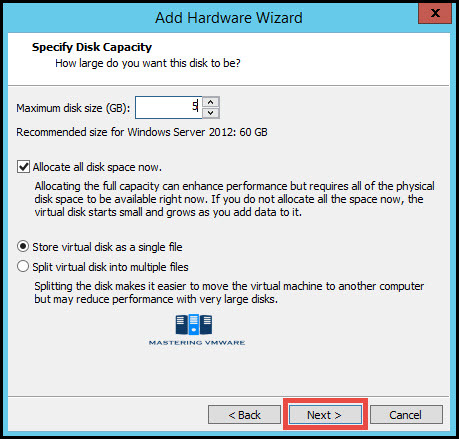 Specify the size of the Disk which you want to add to the VM. 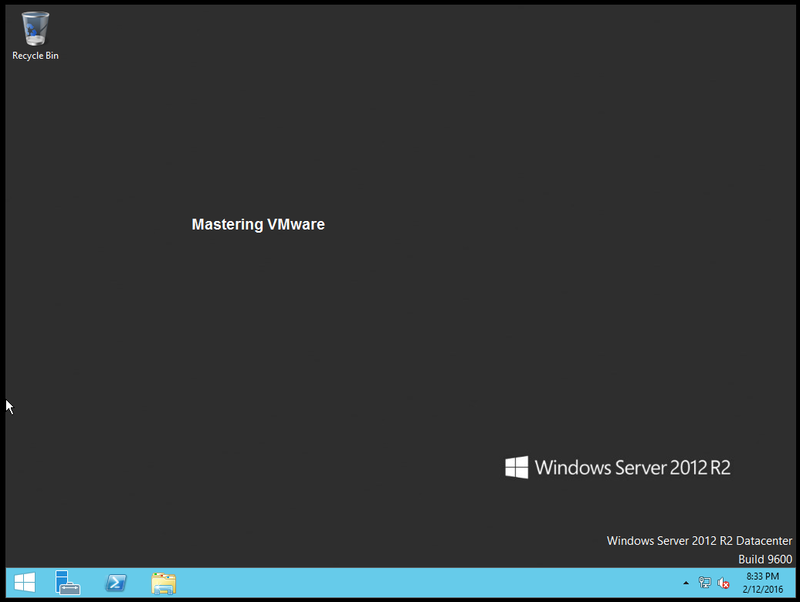 You can also allocate full space to the VM by checking the box. Provide the Name for the Virtual Disk. You can also specify different location to store virtual disk. 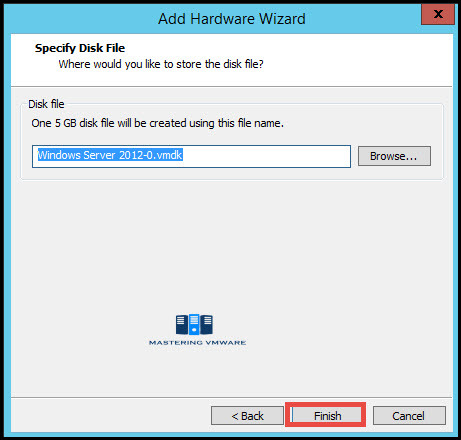 Click Finish to add disk to the VM. As you can see that New Hard Disk is added to the VM. Now you can power On the Virtual Machine and verify the hard disk status. As you can see that Hard disk is successfully added to the virtual machine and it is visible to the guest operating system. Now you can Format the disk and use it for your data. 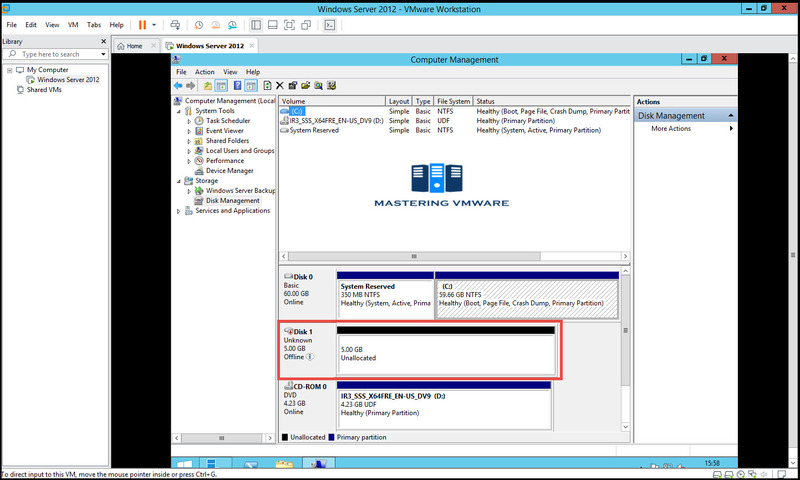 Using this way you can easily add additional hard disks to the virtual machine in the VMware Workstation.